A scholarship is a financial investment in someone’s potential to succeed. It’s based on past experiences, the possibility of making a difference, and the embodiment of the core values of the organization or person sponsoring the scholarship. As a student applying for scholarships, think about what can you do to demonstrate that you are a worthy investment. What story can you tell that will make someone want to invest in you? Last year I volunteered with the Art Support Services. Art support is a part of Burning Man’s infrastructure that facilitates everything involving massive art installations. Being my second year I went from being a simple volunteer to a volunteer trusted with the duties and responsibilities of a radio. My job entailed communicating with the artists, figure out where they were in the building process then decide what heavy machinery they needed. Next I would radio Heavy Equipment to inform them of the artist’s needs. The most important skill I gained was appropriate radio communication. I learned how to change channels and proper radio etiquette. On the radio I used terms like “ten-nine”, “copy that”, or “affirmative” a personal favorite. Having a radio was a huge feeling of accomplishment, because I got to play a part in coordinating all the pieces that made the art come together. What kind of person would you say Student #1 is? Would this person follow through on a task he or she was given? What qualities stand out for you about this person when you read this personal statement? Would you invest in this person’s future? Coming back to school after twenty-five years is an accomplishment I’m very proud of. I didn’t graduate from high school when I was supposed to, so the first strength I used was faith that I could come back and do it now. I definitely needed a little courage, going from a forty year old server in a restaurant to a first time college student was a big change. In order to figure out what I wanted to study I researched online, bounced ideas off of friends and even talked to strangers on the street. I tried to keep an open mind and think creatively about my options, and then used my experience and perspective to narrow down the long list of potential interests. Once I decided on a career path and school, I quit my job and moved to a new city, relying heavily on discipline, humor and hope. I can’t tell you how many times I thought about staying in Portland and working at my old job forever, but now that I’m in school, I’m really grateful that I didn’t. What kind of person would you say Student #2 is? A few years ago I gathered together a group of children from my neighborhood and together we wrote an adaptation of “The Frog Prince.” We then built a stage in the back yard and spent weeks painting sets and creating costumes. When we had finished all the preparations, we pulled couches and chairs into the backyard and invited our whole neighborhood over to watch our play. It was amazing to help guide and motivate the children as they performed their creation; it took an enormous amount of organization and delegation skills to make our production go smoothly. It was incredible to be able to help our community come together and watch neighbors that had lived next to each other for years finally forging connections and becoming friends. It was wonderful to be able to see the children growing in their confidence and sharing their creation with our community. What kind of person would you say Student #3 is? After sorting though several scholarship applications, the scholarship committee have selected 3 finalists for their scholarship. The scholarship committee must pick only one student to give a scholarship to. As a member of the scholarship committee, you must make a choice as to who wins the scholarship. Which student would you select and why? What criteria would you use to make your selection? Thinking about applying for scholarships can seem like an overwhelming prospect, and students have many excuses for not applying. There are so many scholarships available for college that knowing where to start is the first obstacle to the process. Remember, scholarships are the gift of money for college. A gift does not have to be paid back like a loan does. Scholarships are offered to students who meet a specific requirement established by the sponsor, who may be an individual or an organization. Scholarships can be offered through local, state, or national sponsors. Each scholarship will have its own requirements based on the purpose of the scholarship. Scholarships are a good way to help pay for college without increasing student debt. Students may apply for multiple scholarships. Receiving a scholarship will affect the student’s overall financial aid award because all the student aid added together cannot be more than the cost of attending college. However, it is important to realize that scholarships are gifts and do not have to be repaid, so trying to include a scholarship your overall financial aid package is a good idea. Finding scholarships requires research and effort on the part of the student, but the effort can have a financially rewarding outcome. Searching for scholarships today is much easier than in the past. Students used to have to comb through books in counselors’ offices and photocopy applications to be put in the mail, snail mail! The Internet has changed the search process. In today’s scholarship search process, a student can use several websites to help find the treasure. Never pay for help to search for scholarships. Websites that charge fees to find scholarships may be scams. The Scholarship Fraud Prevention Act of 2000 was passed to help increase the penalties for people convicted of scholarship fraud. Before this Act was passed, the Federal Trade Commission was limited to closing operations defrauding consumers. Now the government has the power to incarcerate or fine perpetrators of scholarship fraud. Free help can be found through the college you have selected to attend as well as through several great websites. Check with student support services at your college to see what services are offered. Scholarship Junkies, Unigo, Fastweb, and Fin Aid are examples of online resources for finding scholarships to apply for. Unigo even has a section for scholarships that don’t require an essay. Scholarship committees want to give their money away to deserving students. It’s your job to properly sell yourself so they know why you are the right choice. Build a profile that can’t be ignored, one that showcases your originality, your character and your drive to be successful. Avoid these common mistakes students make. Get your application done right! One of the major reasons student fail to earn scholarships is due to missing the application deadline. Deadlines matter and once they pass, the opportunity for that scholarship has ended for that year. It is important to pay attention to the time zone the deadline occurs in. The scholarship website may be located in a different time zone than you are. If the deadline says 11:30 pm EST (Eastern Standard Time) that is 8:30 pm PST (Pacific Standard Time). If the scholarship says it’s due by March 15th, it means it. On March 16th you will not be able to submit the application. This is a harsh reality for some students who put off working on their scholarship applications. The directions on a scholarship application are not suggestions. These are the basic requirements that you need to fulfill in order to be considered for a scholarship. If you do something careless like emailing your application when you are supposed to mail it or not bothering to format your application correctly, you may not get the scholarship. Scholarship committees request specific information because they need it. If the scholarship committee does not receive all of that information from you, the scholarship committee will likely look at your application, see that it is incomplete, and move it to the disqualified pile. If your application is submitted online and the information is incomplete, the application will not make it past the computer screening. Read the requirements of the scholarship carefully. If there is a specific aspect of the scholarship that you do not meet, find a different scholarship to apply for. Use the Internet to find out as much as possible about the sponsor of the scholarship. If it is a company or organization, find out what their mission is and what they care about. If the sponsor is a person or in memory of a person, what was the person’s passion? Always have someone proofread your application before you send it in. This will help reduce any spelling or grammar errors or other mistakes that may be in your application before you send it. If you want to earn some money, you’ll want your application to be as polished as possible! Word count is probably the most common scholarship essay mistake. If the application asks for a word range, hit the range. If it asks for a specific word count, hit the word count as closely as possible. This shows you’re capable of paying attention and satisfying specific requirements. Another common mistake is falling off topic. You want your essay to stand out from all the others. It needs to be unique, but it needs to address the topic given. While a cute or risqué email address can seem clever among your group of friends, it can send the wrong message to a scholarship committee, or the professors at your college. When applying for scholarships, avoid email addresses that use nicknames, profanity, that are offensive, or that have sexual connotations. Instead, create a professional email address to use for scholarship applications and professional correspondence. Keep it simple and straight forward by using variations of your first, middle, and last name. Many scholarship applications request a personal statement or essay to gain a perspective on the student in a more personal way. This is an opportunity for a student to build a unique picture of him or herself. OSAC uses 4 topics in their application. At Lane Community College, the Foundation (the source of scholarships specific to Lane) uses the same 4 topics in their applications. A student may use the same answers for both OSAC and Lane Community College’s applications. Check the college you plan to attend and see if you can find their essay questions. 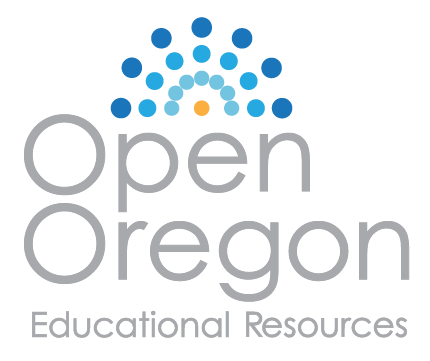 Chances are good, if it’s an Oregon school, it will use the same questions as OSAC. OSAC’s application limits the number of characters you can use in a response. This is different from a word limit. Be sure to find out if the application you are completing uses words or characters in the directions for space limitations of answers. Explain your career aspirations and your educational plan to meet these goals. Be specific. Explain how you have helped your family or made your community a better place to live. Provide specific examples. Sometimes students worry that they don’t have a good answer to the questions posed by the scholarship application. Your answer doesn’t need to be a world-saving event. It needs to show your personality and qualities that will be worth investing in. The examples at the beginning of the chapter demonstrate real-life events that answer the question being posed. Finding small stories to tell will make better statements when you only have limited characters to use. The final message in Zach King’s video is that everyone has ideas that matter and thoughts and ideas that inspire people. The personal statements and essays in a scholarship application are the place a student can set him or herself apart from the other applicants. Sitting down and writing an inspiring essay in 1000 characters or 150 words can seem like an impossible task. One way to get started is to write something less structured. Try writing a random autobiography about yourself. This can be a fun way to start thinking about yourself and your experiences in order to find topics to use for personal statements and essays. It’s your story – you can’t get it wrong. Instructions and examples for writing a random autobiography are in the next chapter.